Sea Wall Work between Exeter and Newton Abbot. 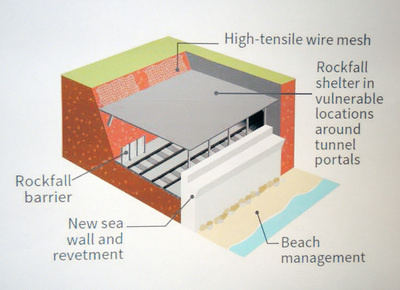 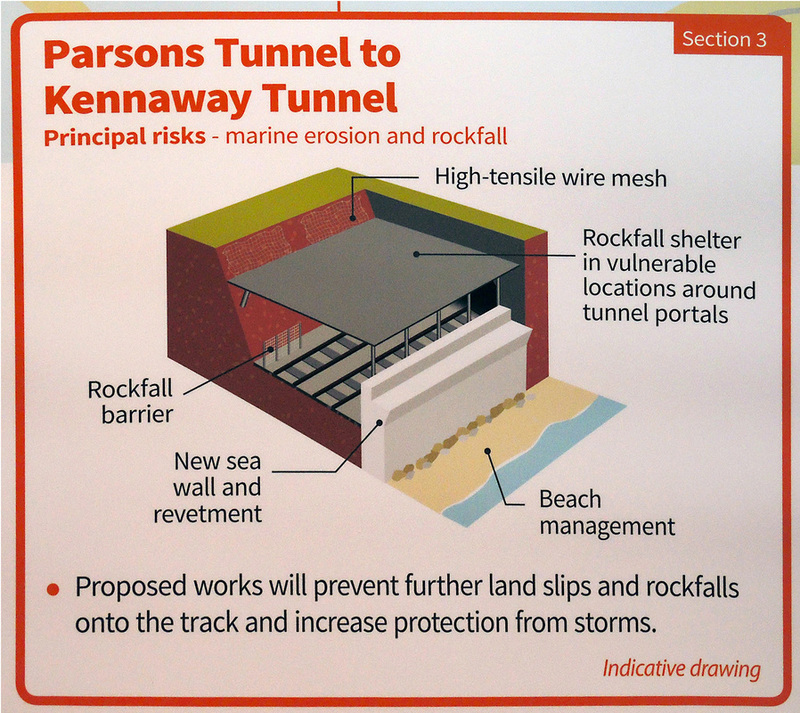 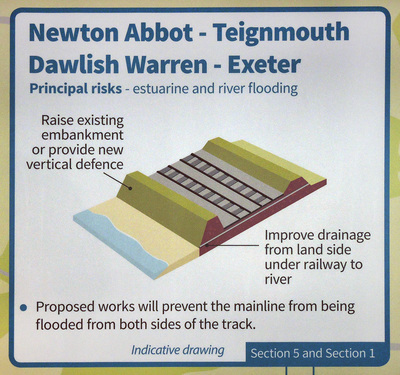 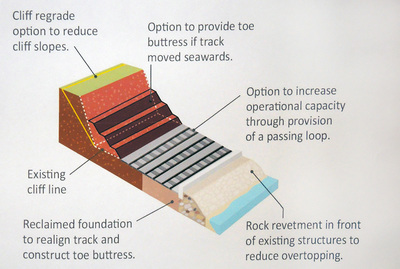 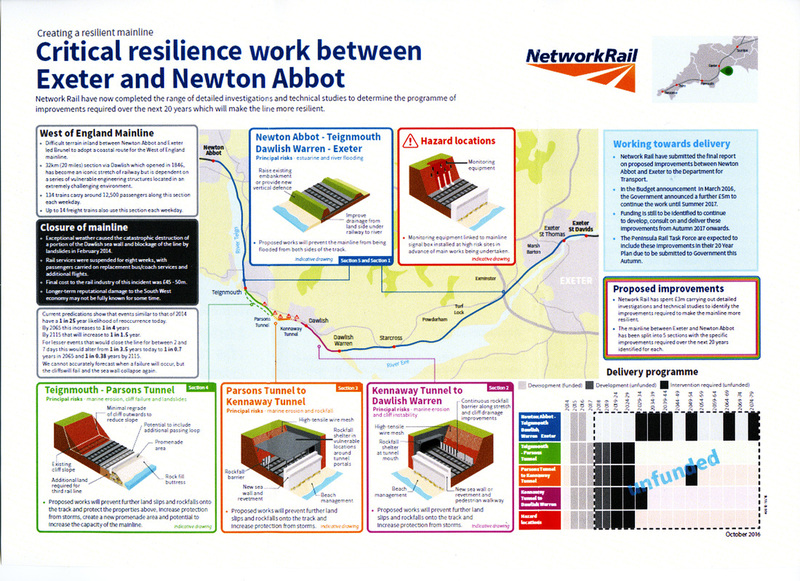 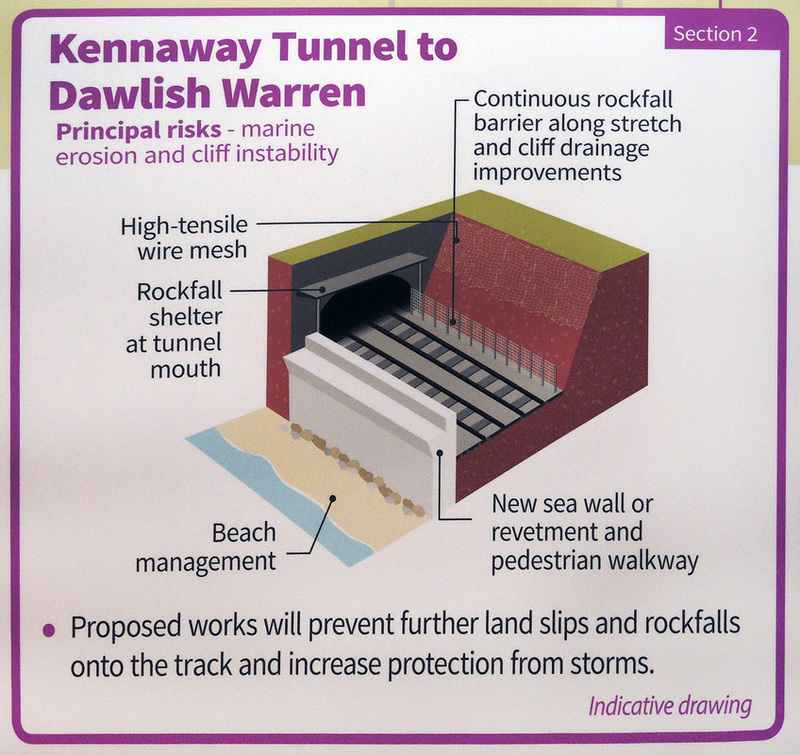 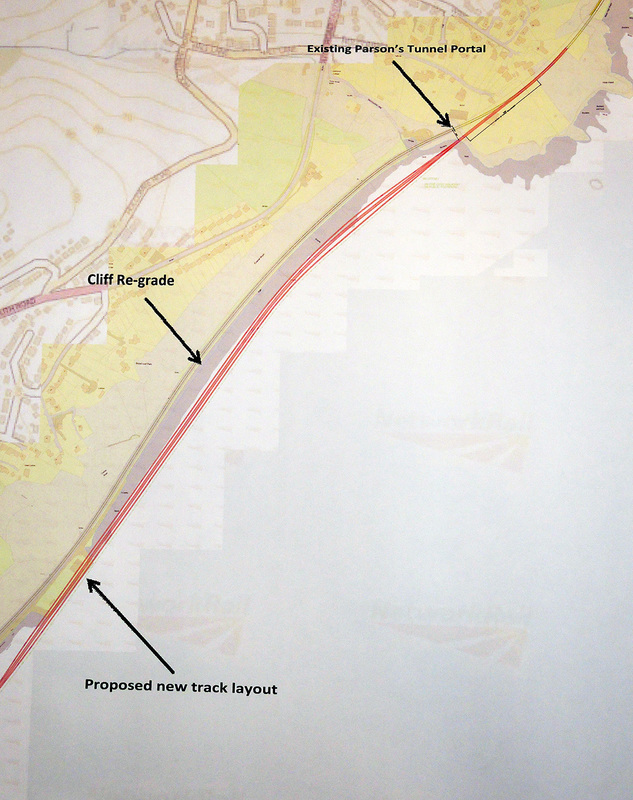 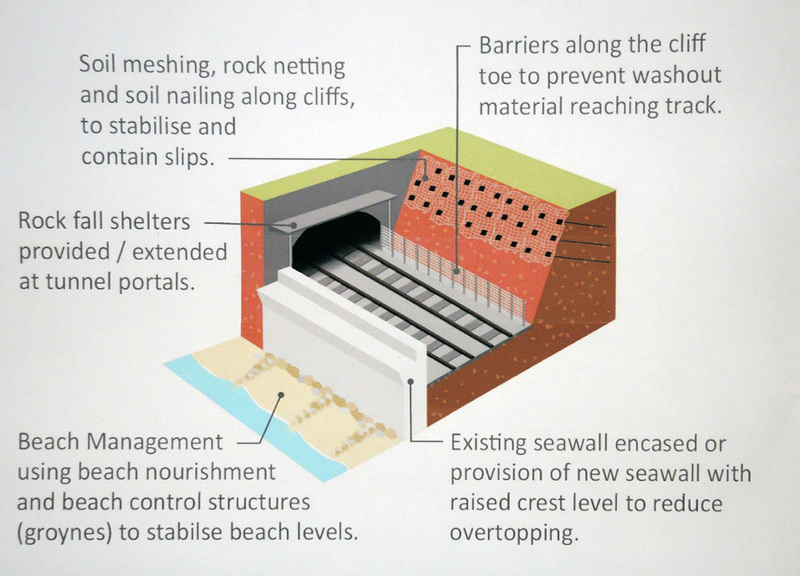 Network Rail has held the first of several briefings on the projected work required to ensure the Sea Wall and the railway between Exeter and Newton Abbot is maintained operational and has resilience against the rough sea and poor weather. 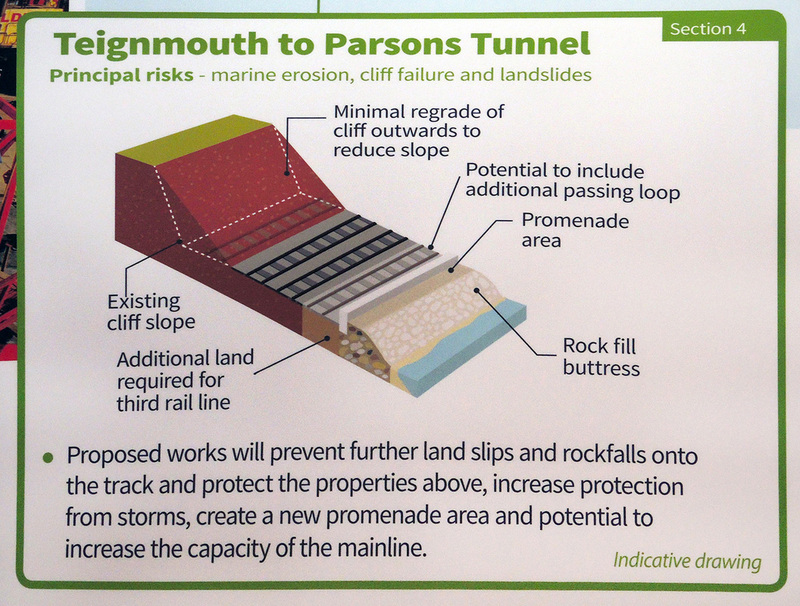 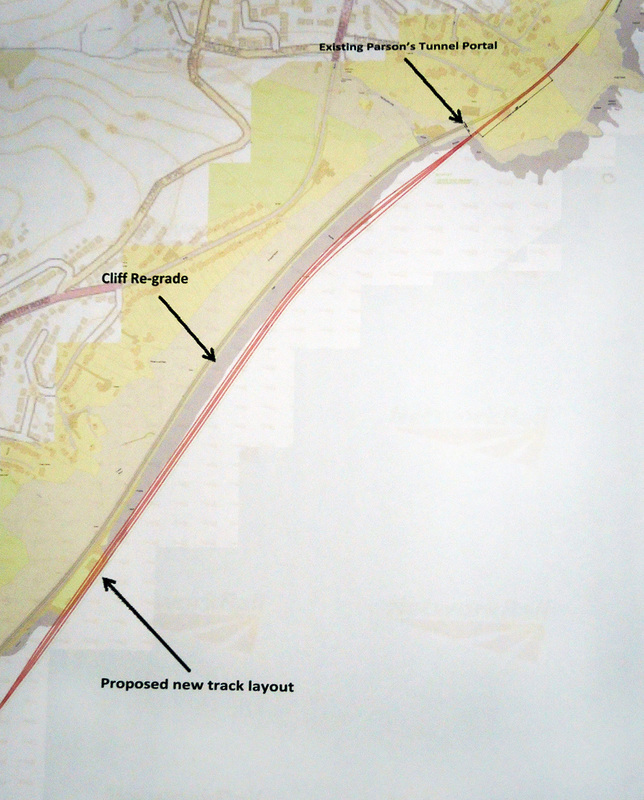 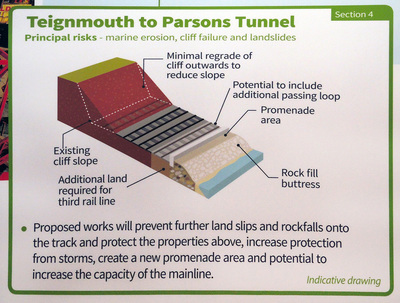 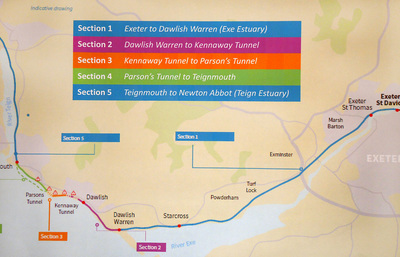 For many the most interesting in this plan is the four tracking of the 'new' railway between Parsons Tunnel and Teignmouth.